February 25, 2011 — Depicting the magical relationship between art and nature while painting a visually intoxicating portrait of world-renowned Scottish artist Andy Goldsworthy, RIVERS AND TIDES follows the bohemian free spirit all over the world as he demonstrates and discusses his creative process and artistic philosophies. From his long-winding rock walls and icicle sculptures to his interlocking leaf chains and multicolored pools of flowers, Goldsworthy’s painstakingly intricate masterpieces are made entirely of materials found in Mother Nature – an unpredictable “critic” who threatens and often succeeds in destroying his art, sometimes before it is even finished. * Bonus film Snowballs in Summer, featuring thirteen giant snowballs placed on the streets of London, left to melt in the heat of the longest day of the year. As they disappear, the public witnesses the surprise materials that Goldsworthy packed into the snow sculptures. 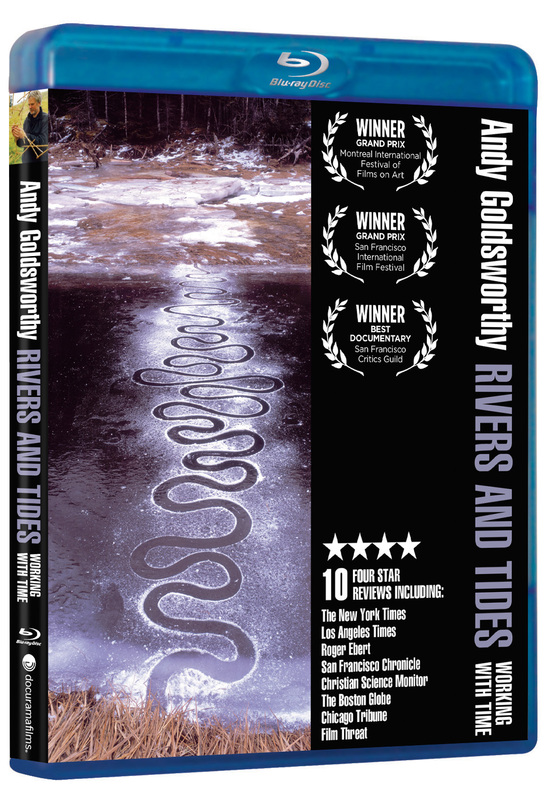 * 45-minute interview with Riedelsheimer, who discusses his experiences over the year of filming with Goldsworthy and candidly reveals the genius behind the famed artist. 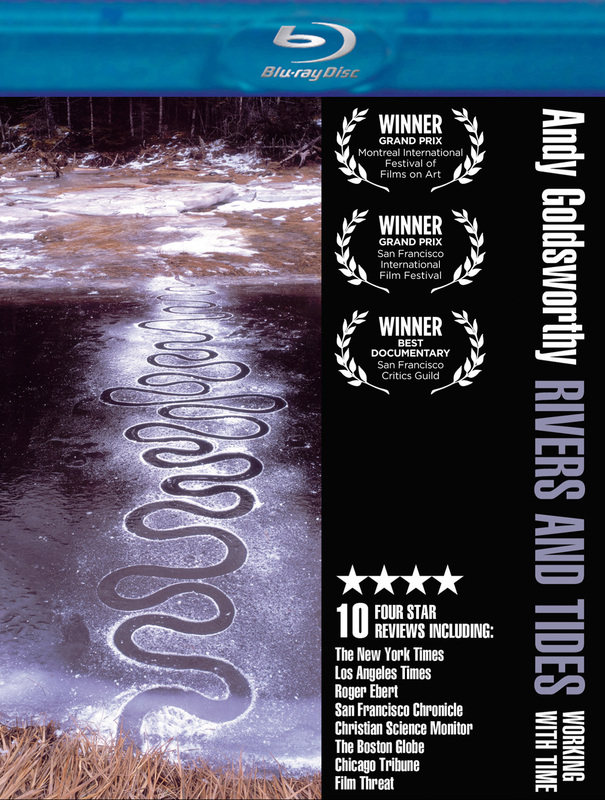 With several 4-star reviews from the country’s top critics and numerous festival awards, RIVERS AND TIDES serenely captures Goldsworthy on-camera in the midst of constructing his trademark ephemera, each image more extraordinary than the last. 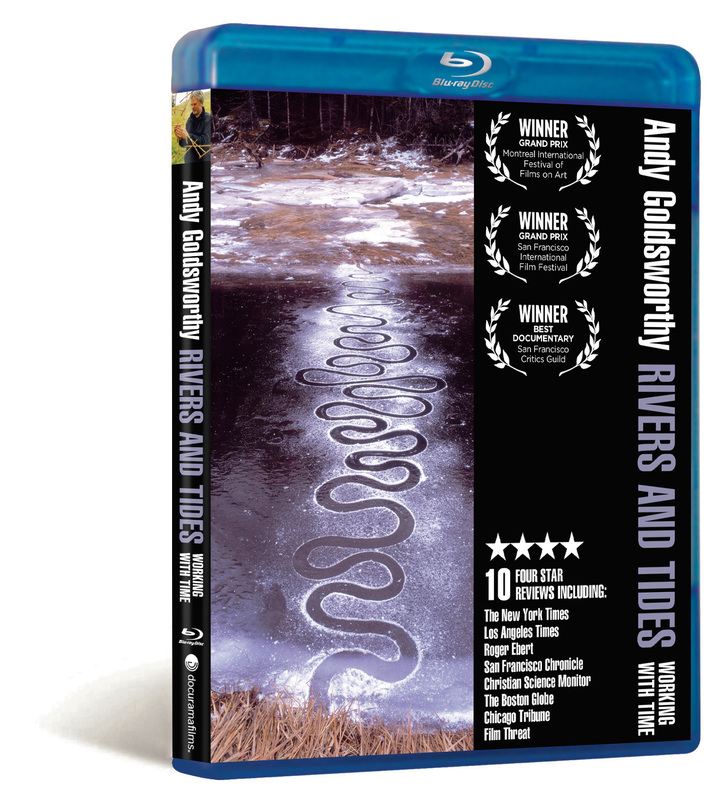 Interweaving an elegant, minimalist soundtrack composed and performed by avant-garde virtuoso Fred Frith, RIVERS AND TIDES is a mesmerizing cinematic experience that helps us to appreciate nature in new and enchanting ways. New Video is a leading independent privately-held distributor of quality entertainment via DVD, Blu-ray, download and streaming platforms, and cable VOD. We are the proud home to some of the most prestigious names in the industry like A&E®, HISTORY™, Lifetime®, Major League Baseball®, Scholastic Storybook Treasures™, Arthouse Films and Tribeca Film as well as our own lines Docurama Films®, and the newly launched Flatiron Film Company®. Since 1991, our mission has been to discover first-rate content and deliver to audiences through traditional platforms and evolving new media. We selectively handpick our library while collaborating directly with our brand partners and filmmakers to cultivate a superior product and fresh new viewing experiences for our audiences. We are headquartered in New York City, but have an international presence in 45 territories. www.newvideo.com.